Phoenix Publishing offers one free eBook each month in a variety of eBook formats, including the Kindle; I’ve picked up a couple of really good science fiction novels from them for free that they simultaneously have for sale in the Amazon Kindle store for prices up to $9.99. 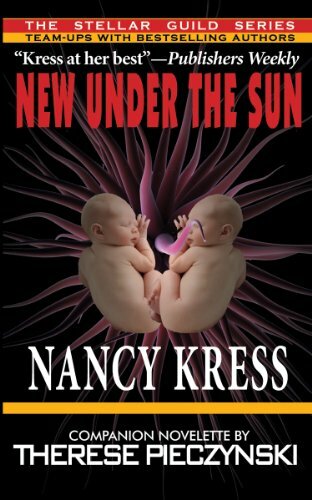 This month’s free pick is New Under the Sun, by Nancy Kress and Therese Pieczynski, which you should be pleased to note while this book costs $5.99 in the Amazon Kindle website, you can get it for free if you follow the instructions below. Scroll down just a little bit and click on the “ADD TO CART” icon immediately underneath the book’s cover. Your computer will next open up a new web browser, leading you to a checkout page. Change the price to 0.00, as this is a pay-what-you-want offering. Click on any white space on the webpage. Click the “Free Checkout” icon on the right-hand side of the page. At the next screen, choose and click the “MOBI” version of “Click Here” as that is the one compatible with your Kindle. Set in the near future, Nancy Kress’ story gives us a world increasingly hostile to new ideas as religious fundamentalism dictates social agenda and where the primary use of science is to bolster these very same uncompromising attitudes. This is a world we can imagine very easily since the author takes us down the sliding slope very gently. Years pass, and attitudes change a little bit here…and a little bit there till the cumulative impact of these cultural changes becomes a thought-controlling nightmare. “infection” may be the only hope for the world, if she can survive long enough. Therese Pieczynski’s companion piece predates the world Nancy Kress gives us and takes us to back to 1980s Nicaragua, where a strange demon lurks. Phoenix Publishing offers one free eBook each month in a variety of eBook formats, including the Kindle; I’ve picked up a couple of really good science fiction novels from them for free that they simultaneously have for sale in the Amazon Kindle store for prices up to $9.99. 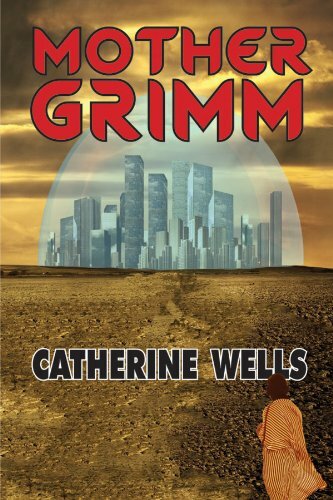 This month’s free pick is Mother Grimm, by Catherine Wells, which you should be pleased to note while this book costs $5.99 in the Amazon Kindle website, you can get it for free if you follow the instructions below. Twila Grimm has lived her whole life inside the sterile limits of the Biodome, an isolated domed oasis in the middle of a ravaged Earth. The outside is a world of mystery and disease: where those infected by the deadly CM virus are sent to die. This is a land of disease and death; of warring tribes and half-crazed factions that live on the edge of sanity. But the outside is also where Twila Grimm’s destiny lies. For she is much more than what she appears and the secrets about her own origins may prove to be the world’s salvation or its ultimate destruction. Phoenix Publishing offers one free eBook each month in a variety of eBook formats, including the Kindle; I’ve picked up a couple of really good science fiction novels from them for free that they simultaneously have for sale in the Amazon Kindle store for prices up to $9.99. 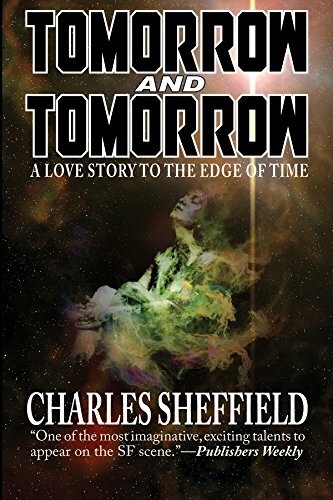 This month’s free pick is Tomorrow and Tomorrow, by Charles Sheffield, which you should be pleased to note while this book costs $5.99 in the Amazon Kindle website, you can get it for free if you follow the instructions below. Ana is the love of Drake Merlin’s life. The woman he wants to grow old with, share every experience. But there is a hitch that is preventing them from obtaining their happily ever after…. Ana might be perfect for him, but she is dying. Diagnosed with a rare disease, there is no cure for what ails her. At least, not in the 21st century. The only thing Drake can do—the one gamble that might, eventually, bring her back—is have Ana frozen and join her in cryogenic sleep until, one day, technology will have advanced enough be able to cure her. Eons pass, and Drake is revived again and again, to see if humanity has evolved enough to be able to provide a solution. They try everything to help him bring her back or to encourage him to move on from his frozen soulmate—even creating a clone of his beloved. But it is not his Ana, his love. Nothing but her full revival will satisfy his obsession. Millions of years pass before Drake learns that there is finally some hope for her restoration. At the Omega Point, the universe is collapsing, merging past and present; connecting the knowhow of now to the Ana of so long ago…. But first he must help the rest of humanity. Drake is revived one more time to fight an alien race who is hell bent on destroying the Solar System. For only a throwback from a past, where dissidence, material greed and violence were a part of human existence, will have enough fighting spirit to save a race that’s now too enlightened to understand war. Phoenix Publishing offers one free eBook each month in a variety of eBook formats, including the Kindle; I’ve picked up a couple of really good science fiction novels from them for free that they simultaneously have for sale in the Amazon Kindle store for prices up to $9.99. 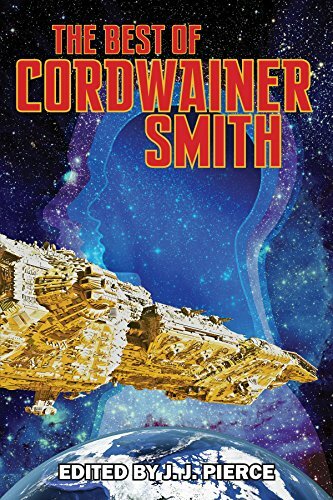 This month’s free pick is The Best of Cordwainer Smith, by Cordwainer Smith (you guessed it! ), which you should be pleased to note while this book costs $5.99 in the Amazon Kindle website, you can get it for free if you follow the instructions below. Scroll down just a little bit and click on the “ADD TO CART” icon immediately to the right of and underneath to the book’s cover. Cordwainer Smith was one of the original visionaries to think of humanity in terms of thousands of years in the future, spread out across the universe. This brilliant collection, often cited as the first of its kind, explores fundamental questions about ourselves and our treatment of the universe (and other beings) around us and ultimately what it means to be human. In “Scanners Live in Vain” we meet Martel, a human altered to be part machine—a scanner—to be able withstand the trauma space travel has on the body. Despite the stigma placed on him and his kind, he is able to regrasp his humanity to save another. In “The Dead Lady of Clown Town” we get to know the underpeople—animals genetically altered to exist in human form, to better serve their human owners—and meet D’Joan, a dog-woman who will make readers question who is more human: the animals who simply want to be recognized as having the same right to life, or the people who created them to be inferior. In “The Ballad of Lost C’mell” the notion of love being the most important equalizer there is—as first raised in “The Dead Lady of Clown Town”—is put into action when an underperson, C’mell, falls in love with Lord Jestocost. Who is to say her love for him is not as valid as any true-born human? She might be of cat descent, but she is all woman! And in “A Planet Named Shayol” it is an underperson of bull descent, and beings so mutilated and deformed from their original human condition to be now considered demons of a hellish land, who retain and display the most humanity when Mankind commits the most inhumane action of all. Phoenix Publishing offers one free eBook each month in a variety of eBook formats, including the Kindle; I’ve picked up a couple of really good science fiction novels from them for free that they simultaneously have for sale in the Amazon Kindle store for prices up to $9.99. 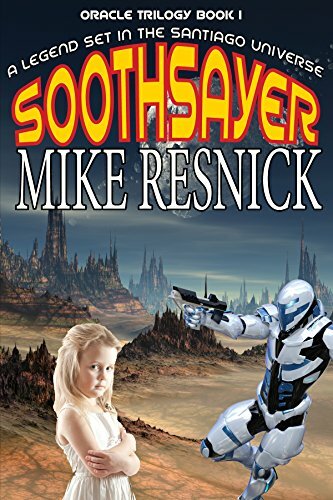 This month’s free pick is Soothsayer, by Mike Resnick, which you should be pleased to note while this book costs $5.99 in the Amazon Kindle website, you can get it for free if you follow the instructions below. Readers of Santiago and Mike Resnick’s other exciting and evocative novels know that the galaxy’s Inner Frontier is filled with some mighty dangerous characters, such as the Iceman, the Mouse, Merlin, the Yankee Clipper, the Mock Turtle, and more. But we’ll bet you didn’t know that the most dangerous person on the Frontier, perhaps the most dangerous human or alien who ever lived, is a frightened little six-year-old girl who wishes she was anyone else. Come meet her, and her one friend, and her multitude of enemies, in the pages of Soothsayer, the first book of the Oracle Trilogy – and experience an adventure similar in tone both to Santiago and to Josh Whedon’s TV series Firefly (and its follow-up movie Serenity). Mike Resnick is the winner of 5 Hugos (from a record 37 nominations), as well as dozens of other major awards all across the world, and was the Worldcon Guest of Honor in 2012. Phoenix Publishing offers one free eBook each month in a variety of eBook formats, including the Kindle; I’ve picked up a couple of really good science fiction novels from them for free that they simultaneously have for sale in the Amazon Kindle store for prices up to $9.99. 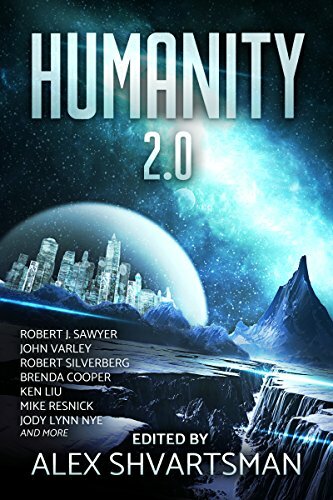 This month’s free pick is Humaity 2.0, by variopus best-selling science fiction authors, which you should be pleased to note while this book costs $2.99 in the Amazon Kindle website, you can get it for free if you follow the instructions below. What will it mean to be human in the future? How will we evolve in order to reach the stars? Fifteen short stories collected in this book examine how interstellar flight might change humanity itself. Will we choose to upload our minds into a singularity? Enhance ourselves with alien DNA? Will our bodies remain the same, but our culture and societal norms adapt to accommodate for effects of time dilation, or become subsumed by advanced alien cultures? Hugo and Nebula award winning authors, bestsellers, and some of the hottest new writers in the field of hard science fiction imagine an array of possible futures—from bright to dystopian—and different permutations of what’s in store for us as a species. Includes stories by Robert J. Sawyer, John Varley, Robert Silverberg, Brenda Cooper, Ken Liu, Mike Resnick, Jody Lynn Nye and many more. I will explain the title of this post in just a moment, but I wanted to just say a quick thank you to each of you for your support over the years for continuing to make this a successful blog and website – what started off as something really small ten years ago continues to amaze me at the size it is now and it is still running! If you forgot someone on your list, you can still email, text, or print out an Amazon gift card: just click here or point your web browser to www.smarturl.it/giftcard. If you do, not only will you possibly dig yourself out of a hole but help our site cover the operating costs with a small percentage of the sale which doesn’t cost you anything – and my checkbook would appreciate it! 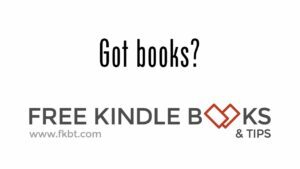 Now, about the title of the post – as I type this up in advance, there are over 34,000 books being offered for free in the Amazon USA Kindle store (34,867 to be exact): that is more than you and I can read in our lifetimes. I’ve created links to all of the various categories (mysteries, romance, etc.) you can click to be taken right to the genre you are most interested in so you don’t have to wade through everything. You can get those links – for free, of course – by downloading the book that started it all for me. Various editions have been downloaded over 1 million times, and I’d like nothing more than to have it downloaded a few more thousand times today. I’ve set it up for free for the next three days, and you can grab it if you click here. I’ve also setup my other Kindle “how to” books for free . If you click on the link above, just click on my name to be taken to my Amazon author page and grab those for free while you can. As we wind up 2017, I hope everyone has a successful and safe 2018! Phoenix Publishing offers one free eBook each month in a variety of eBook formats, including the Kindle; I’ve picked up a couple of really good science fiction novels from them for free that they simultaneously have for sale in the Amazon Kindle store for prices up to $9.99. 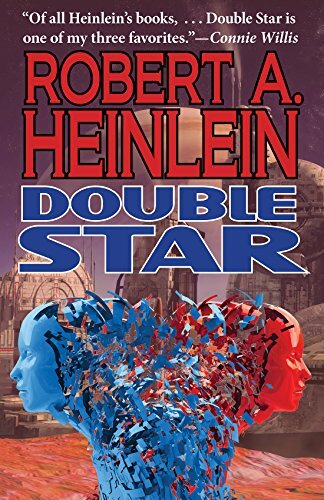 This month’s free pick is Double Star, by Roebrt A. Heinlein, which you should be pleased to note while this book costs $6.99 in the Amazon Kindle website, you can get it for free if you follow the instructions below. Scroll down just a little bit and see the book “Double Star” and click on the “ADD TO CART” icon immediately to the right of the book’s cover. Whether it is the simplicity of a lively tale, the complexity of the situation, or the depth of characterization, the book has developed a loyal following. It also won Heinlein his first Hugo. The story revolves around Lawrence Smith—also known as “Lorenzo the Great”—a down-and-out actor wasting the remainder of his life in bars. When he encounters a space-pilot who offers him a drink, before he knows what is going on, he is on Mars involved in a deep conspiracy with global consequences. He is given a mission where failure would not only mean his own death, it would almost certainly mean an all-out planetary war. Enter to win a new Kindle Paperwhite or one of nine autographed novels! Just click here or point your web browser to http://geni.us/1217gw and enter away! Phoenix Publishing offers one free eBook each month in a variety of eBook formats, including the Kindle; I’ve picked up a couple of really good science fiction novels from them for free that they simultaneously have for sale in the Amazon Kindle store for prices up to $9.99. 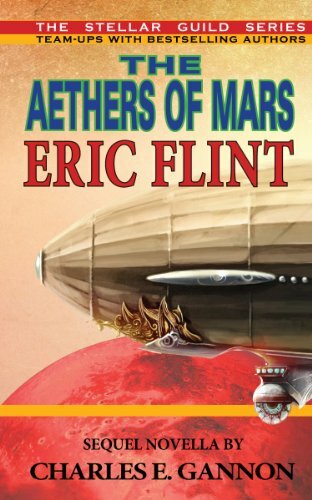 This month’s free pick is The Aethers of Mars, by Eric Flint and Charles E. Gannon, which you should be pleased to note while this book costs $6.99 in the Amazon Kindle website, you can get it for free if you follow the instructions below. Welcome to Mars…circa 1900. Cecil Rhodes rules Mars and is on his way to transforming the British Empire into his vision of a powerful force, managed by the “right” type of people. But what of Savinkov…presumably on board the British aethership Agincourt, travelling from Earth to Mars? Savinkov is a legendary revolutionary and assassin and, with Russian secret agents hot on his heels, is reputedly planning something truly dramatic and Mars-shattering. It’s our biggest giveaway ever – enter to win a new Fire tablet, Kindle Paperwhite, and more but hurry, as tomorrow is the last day! Just click here or point your web browser to http://geni.us/1117giveaway and enter away! Here’s your second group of free and discounted Kindle book offers in a variety of genres for Saturday: for those books listed as being free in this post – while the pricing of the free status is valid at the time of this posting, please make sure you check the pricing carefully before you press the “buy” button as it could revert back to paid status at any time! Praying for War and Living for War in One Collection! In a future that feels suspiciously like the past, death is in the air. Prepare for the third book in the trilogy with this special limited-time box set of Praying for War and Living for War. Collin War wakes up in a bed that is not his own, in a body that feels changed. He is the first of his kind, the first to recover from a mysterious fever that has ravaged the world. Collin awakens in the small town of Goshen, Montana, a community struggling to survive while maintaining a faithful existence. He yearns for his lost family but finds himself drawn to the people of Goshen. Stepping into the leadership role he was destined for, Collin helps his new friends cope with loss, defend against the fever and battle outsiders seeking to destroy the town and all it stands for. But from the ashes of death comes the realization that not all savages live in the wild. 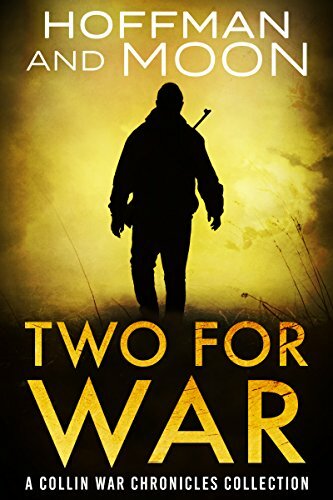 Click here to pick up your free copy of Two for War in the Amazon Kindle store. ‘Inez’ avenged her father. Then she was ready to move on. She had no more need for Inez. But it wasn’t that simple. They said she couldn’t just walk away. She had one last mission: deliver a package to the City of Fury—Buenos Aires. 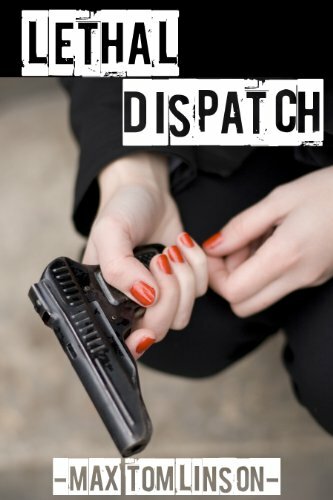 Click here to pick up your free copy of Lethal Dispatch in the Amazon Kindle store. Sorcery is a sin that has been purged. But now sin may be the world’s only savior. Lavery Opsillian would trade anything, even his ghostly friends in the city tombs who comfort him, to have his father back. Instead, he must face reality as Valios’ new king. But his kingship is short-lived. Seized by cutthroats and held for ransom, Lavery learns he possesses a gift he soon deems a curse, but one that may well douse the flames threatening to engulf his world. Sorcery has returned, and dragons are coming. 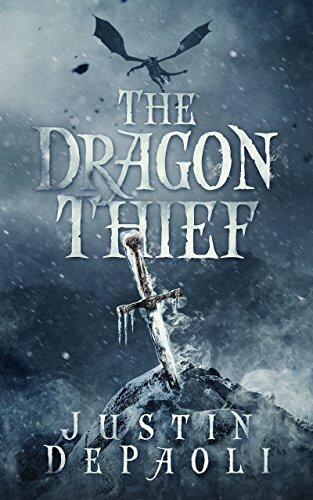 Click here or type in http://geni.us/dragonthief into your web browser to pick up your copy of The Dragon Thief in the Amazon Kindle store. Mission over, two Marines who posed as a married couple can’t seem to shake the idea of love. Claire needs secluded time to think over a marriage proposal when a handsome neighbor appears at her cabin door. 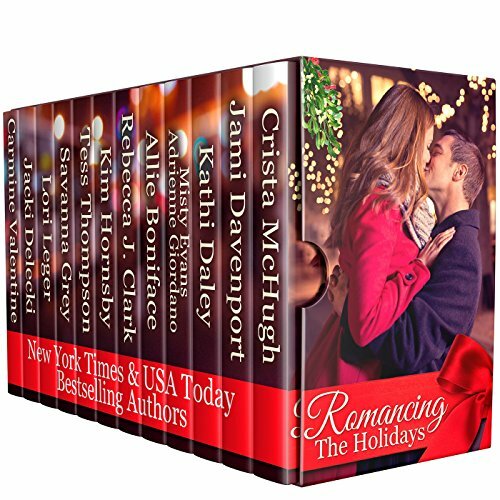 Click here or type in http://geni.us/FfKi into your web browser to pick up your copy of Romancing the Holidays in the Amazon Kindle store. It’s our biggest giveaway ever – enter to win a new Fire tablet, Kindle Paperwhite, and more! Just click here or point your web browser to http://geni.us/1117giveaway and enter away!